Takayama Visitor’s Guide, featuring the best of local cuisine and the true Japanese hospitality at Honjin Hiranoya Kachoan (ryokan). 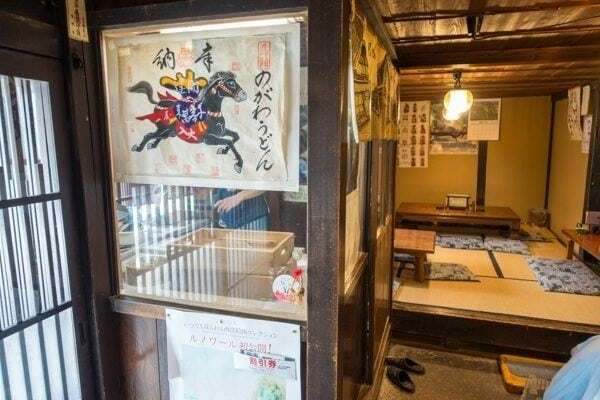 Welcome to part 3 of my visit to Takayama, and today I will share with you 2 of my favorite topics: food & ryokan (旅館 – Japanese style inn)! If you haven’t had a chance to read part 1 and part 2 of my visit to Takayama, please take a look and enjoy. 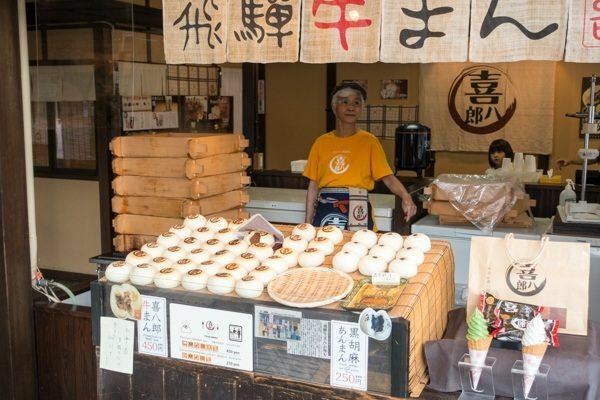 When you walk around Takayama, there is one food you will notice that’s advertised all over the place and that the locals are really proud of. What’s the food? It’s Hida Beef. 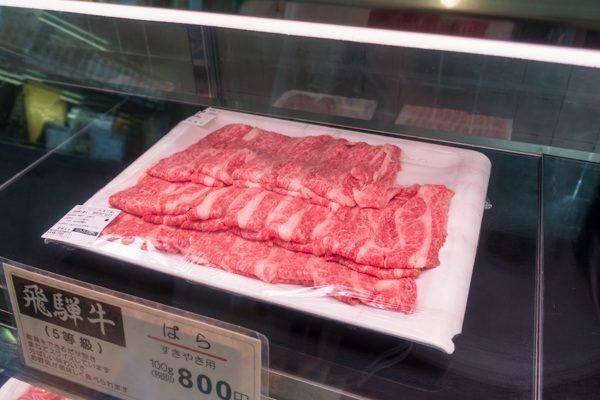 Hida Beef or Hida Gyu (飛騨牛) is a premium Japanese beef from the region, similar to Miyazaki Beef (宮崎牛) from Miyazaki in southern Japan or Kobe Beef (神戸牛) from Kobe. 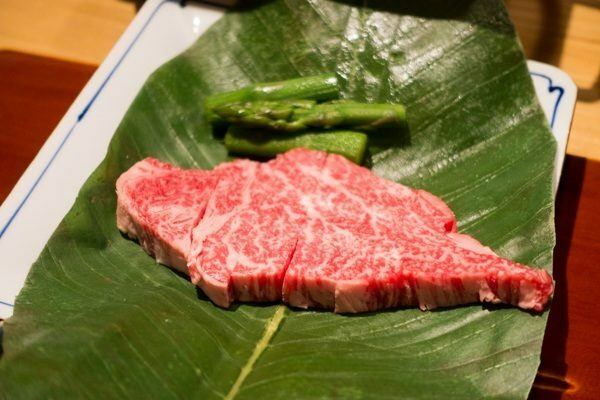 Hida Beef comes from black-haired Japanese cattle that have been raised in Gifu Prefecture (岐阜県) for at least 14 months. 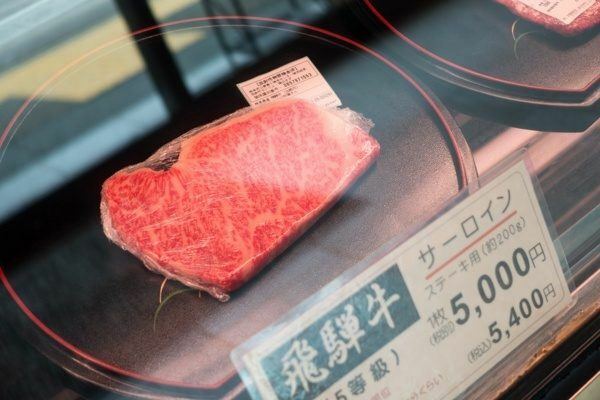 To be classified as Hida Beef, the beef must be confirmed and certified as Yield Score of Grade A or B and have a Firmness and Texture Grade of 5, 4 or 3, as per the Japan Meat Grading Association’s grading system. 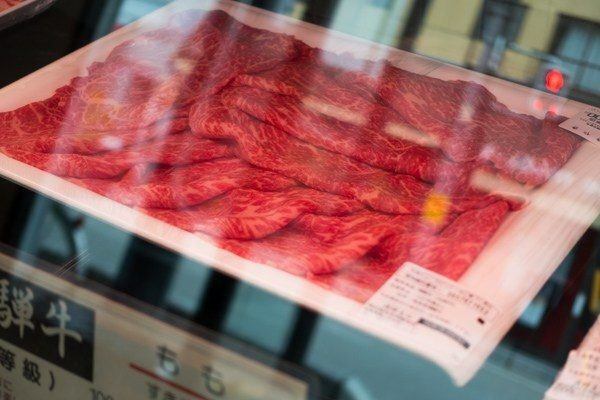 There is a Hida Beef store Tengu (天狗) right around the corner from our ryokan and we got to check out the beautiful pieces of Grade 5 marbled beef. 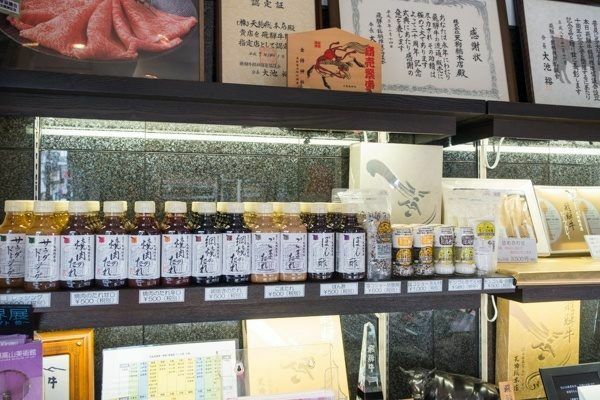 Besides selling different cuts of steak, they also sell salad dressing, Japanese BBQ sauce, and condiments for shabu shabu. Since we were just visiting, we bought some Hida Beef Jerkey as snacks to enjoy from the store and it was juicy, tender, and flavorful! 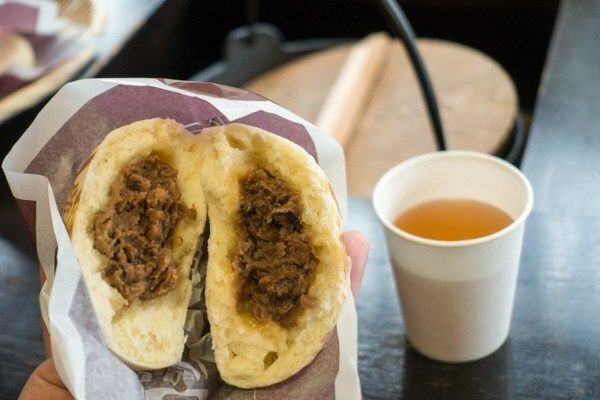 Speaking of Hida Beef, one of the afternoon snacks we tried while browsing Takayama was Hida Beef Bun (Hida Gyu-man 飛騨牛まん). There were many stands around the city that sold Gyu-man, and our ryokan recommended Gyuman Kihachiro (喜八郎). With excitement we went to the store and ordered the buns. Oh my, they were so delicious. 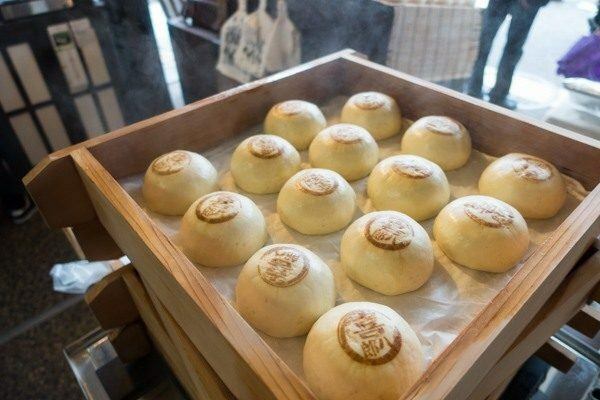 Fresh and hot from the steamer, the buns were tender and soft, and the beef inside was juicy and simply melts in your mouth. 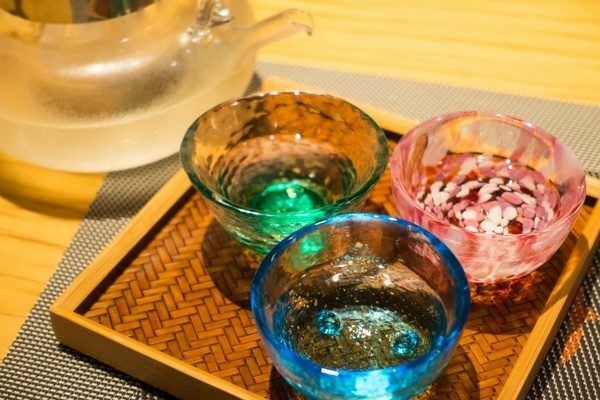 Kihachiro offers complementary tea inside the restaurant for guests to enjoy. If you really love the Gyu-man, they offer frozen packages for you to take back home (in Japan). I have a similar recipe with pork, and here’s my Nikuman (肉まん) recipe. As our hotel took care of breakfast and dinner, we looked for light lunches during our daily excursions. 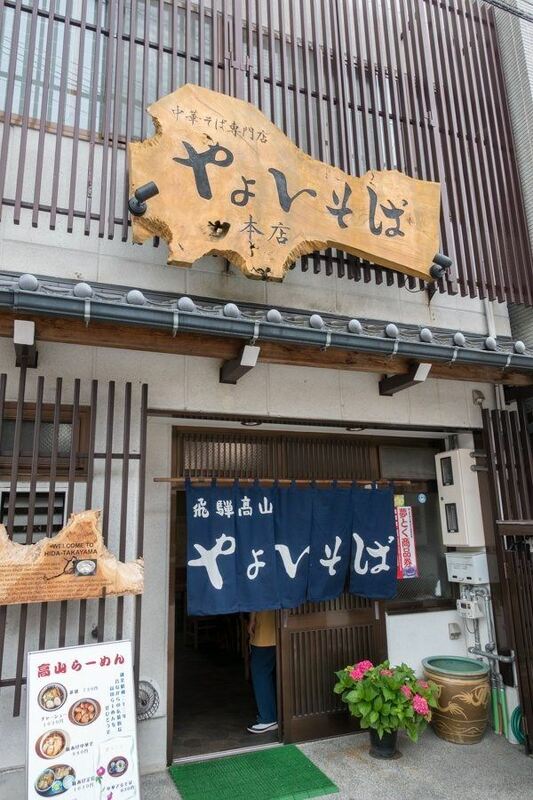 We tried another regional specialty, Chuka Soba (中華そば) , for lunch one day after visiting Kusakabe Heritage House (read about this place in Part 1). 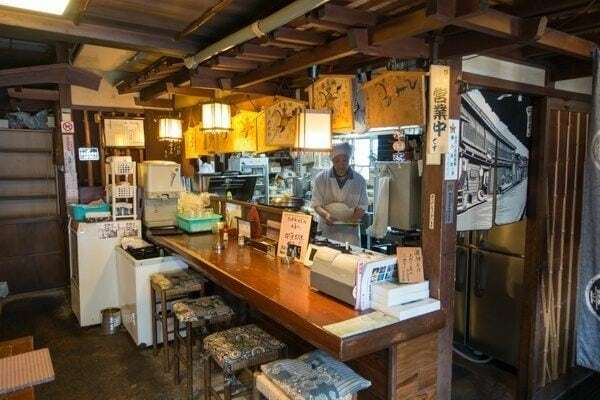 The restaurant we tried was Yayoi Soba, which has been around since 1948. There are actually 2 Yayoi Soba restaurants run by the same owner and they are right across the street from each other. 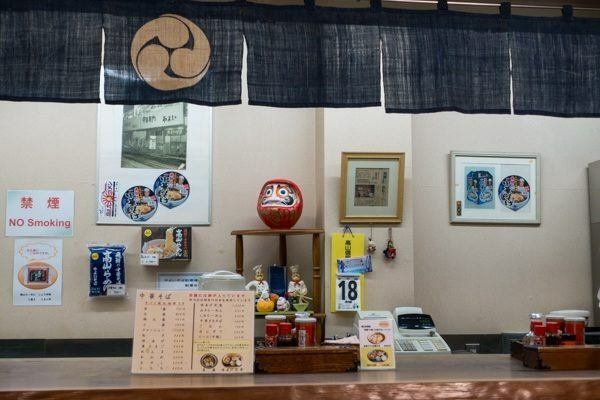 The soba shop is small, only 18 table seats with 6 additional seats at the counter. 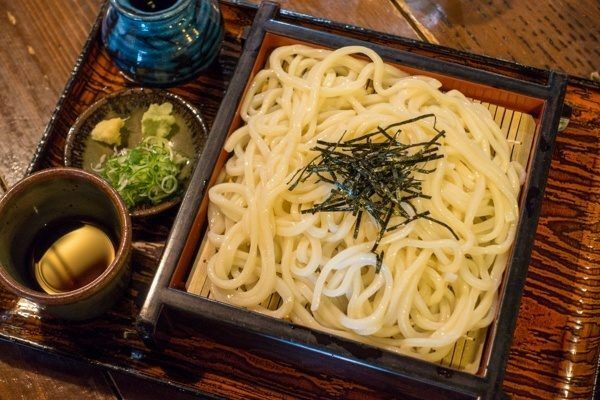 The style of soba they serve is referred as Chuka Soba (中華そば), or Chinese style soba. 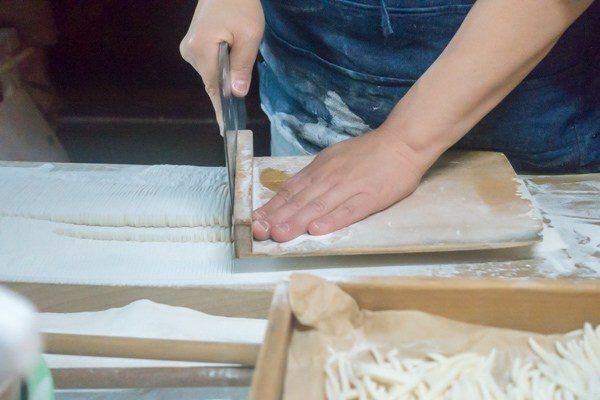 The shape and texture of the noodle was quite unique – it’s thin and flat. 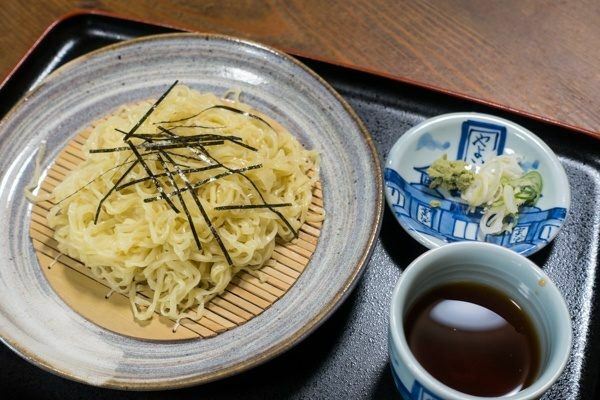 Unlike regular buckwheat soba noodles you see in Japan, this noodle also contains egg. We tried both the soup version as well as the zaru soba. The noodle was really good, similar to the texture of ramen noodles but with a flat shape. 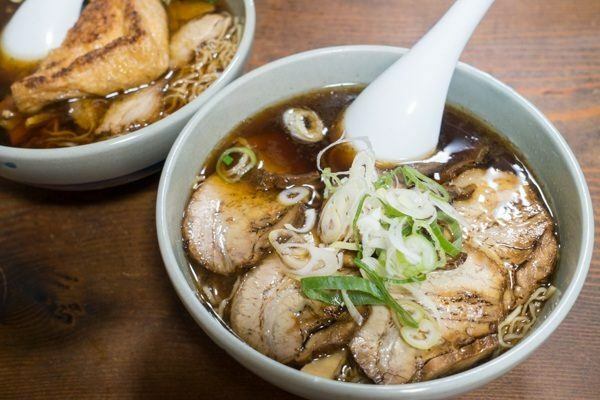 It worked really well with the flavorful but light soy sauce base soup and juicy slices of chashu. What I like the most about the noodle soup was that it wasn’t too oily. The zaru soba was interesting too compared to the typical buckwheat style soba. Dipping in the sauce, it’s reminds me of Hiyashi Chuka. It was a warm day so it felt good to eat cold noodles with refreshing soy sauce base dipping sauce. 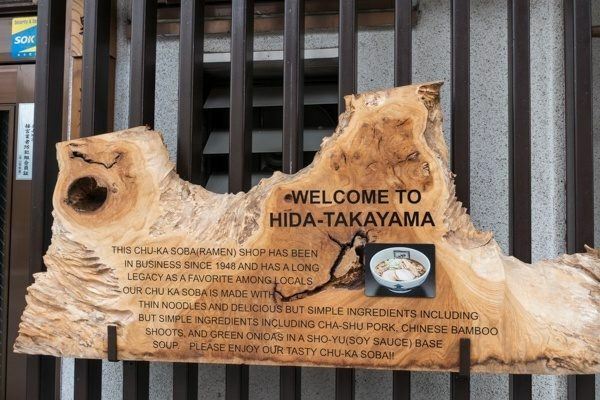 Sticking to the noodle theme, I want to share another noodle restaurant we enjoyed in Takayama. It’s right at the corner of Nakabashi Bridge (中橋) and just a minute walk from our ryokan. 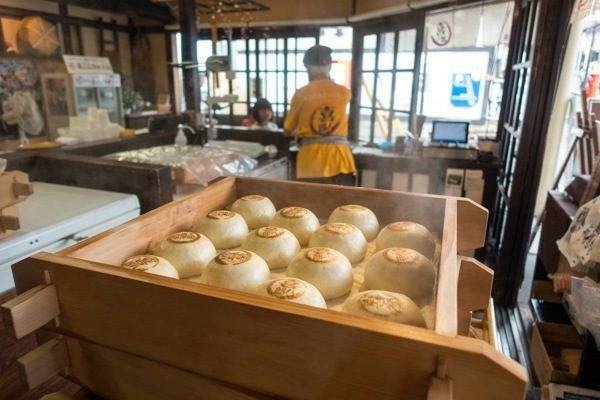 What makes this udon shop special? 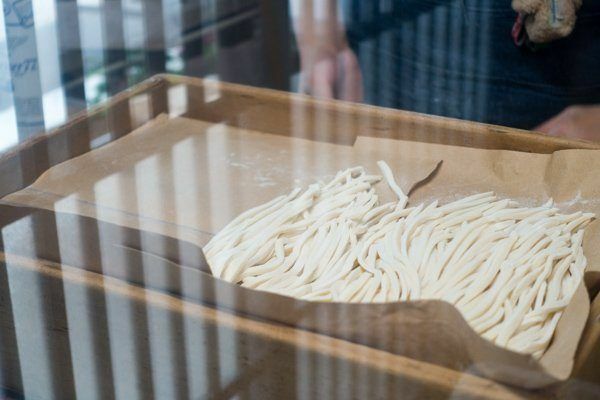 They make fresh udon as you order it, and there is nothing quite like freshly made udon (try it at home with my Homamde Udon Noodle recipe). 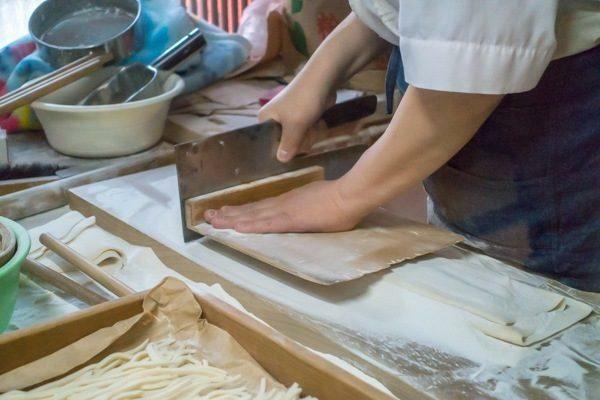 It was fun watching the udon being made with expert skills by the workers prior to eating. We tried 2 cold and 1 warm udon. One of the cold udon was plain zaru udon, my daughter’s favorite. The other cold udon was miso udon and the miso added nice savory flavor to the cold udon. It was nice to enjoy cold refreshing udon on a hot summer day. Freshly made udon tastes simply amazing and the texture was fantastic as you chew on the noodle. 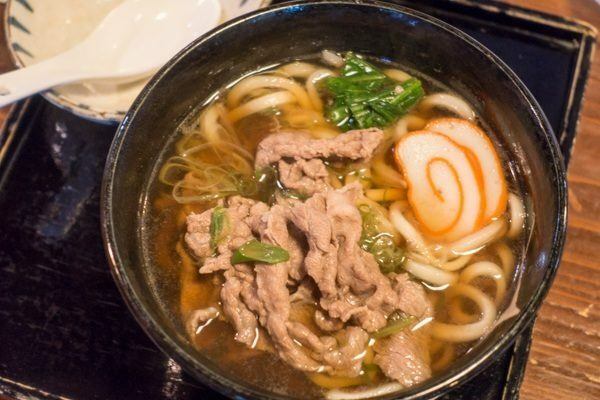 The warm one we tried was Hida Beef Udon. The warm soup was comforting and the dashi flavor was just right. The slices of Hida Beef were very soft and worked well with the soup. 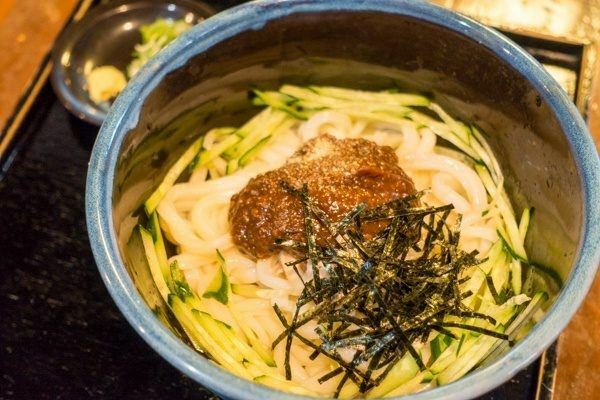 By the way, it’s not common to have beef in udon soup in Japan. There are many hotels and ryokans in the Takayama area. How did we end up selecting Honjin Hiranoya Kochoan? Food of course! After browsing on JTB (a popular Japanese travel agency who also runs japanican.com), we wanted to stay at the ryokan with the highest rated reviews for their food. There were a few hotels that were even ranked higher for food in the area but they were quite far away from the city center. 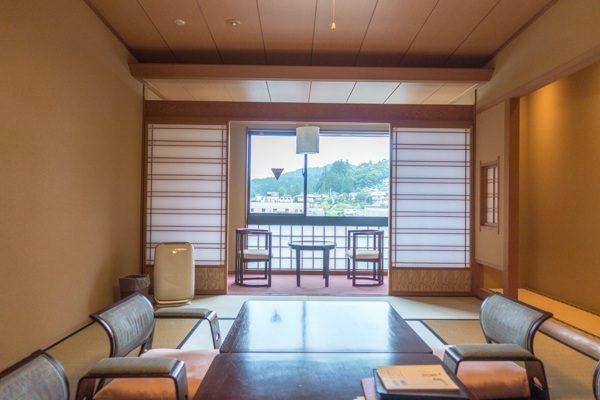 Honjin Hiranoya Kachoan won JTB’s best service hotel in 2014 for hotels with less than 29 rooms, and we decided to pick this ryokan. As I mentioned in my first post, the ryokan offers a free pickup service from the Takayama station. If you have heavy luggage it’s quite helpful! The ride to the hotel was very quick, just a quick 5 minutes drive (9 min if walking). 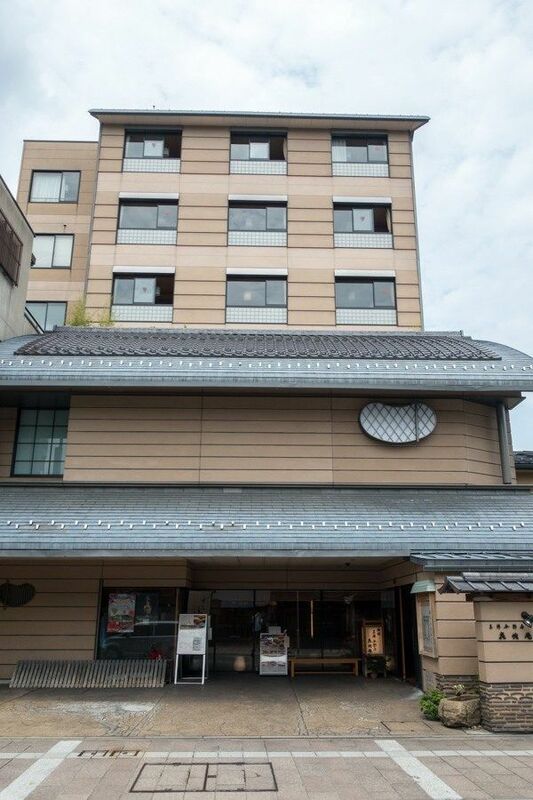 Honjin Hiranoya Kachoan is not particularly large, just 6 floors with 2-6 rooms per floor. There is a sister hotel right across the street called Honjin Hiranoya Bekkan (本陣平野屋別館). As you enter, you are greeted right away by the attentive staffs who take cares of your luggage. 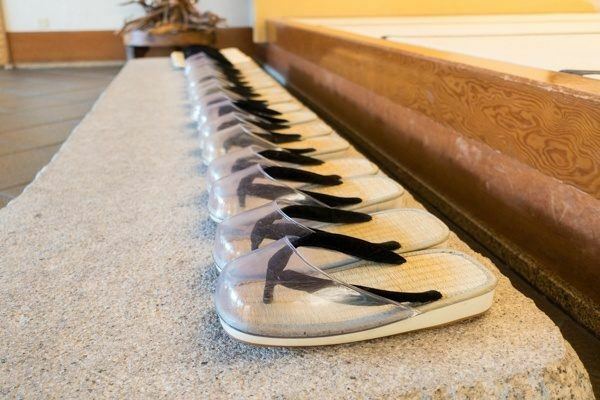 You take off your shoes and they offer hotel slippers once you enter the tatami reception area. You will only put your shoes back on when you are ready to exit the hotel. 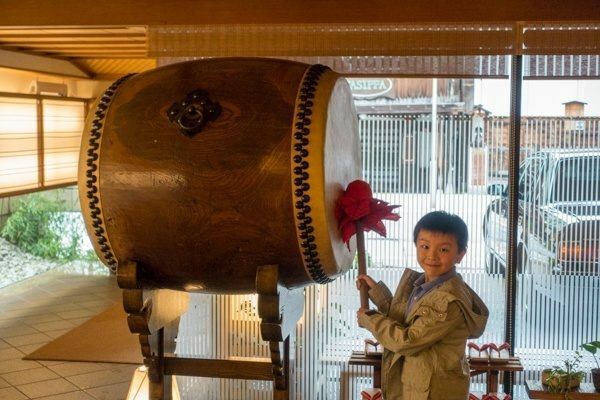 One interesting thing this particular ryokan does as guests arrive is they beat a Taiko drum, which they allowed our children to try as well. For walking around the area or to the sister hotel across the street (for using their hot springs), the hotel offer slippers. On raining days, they offer umbrellas and slippers with clear cover so your feet don’t get wet. 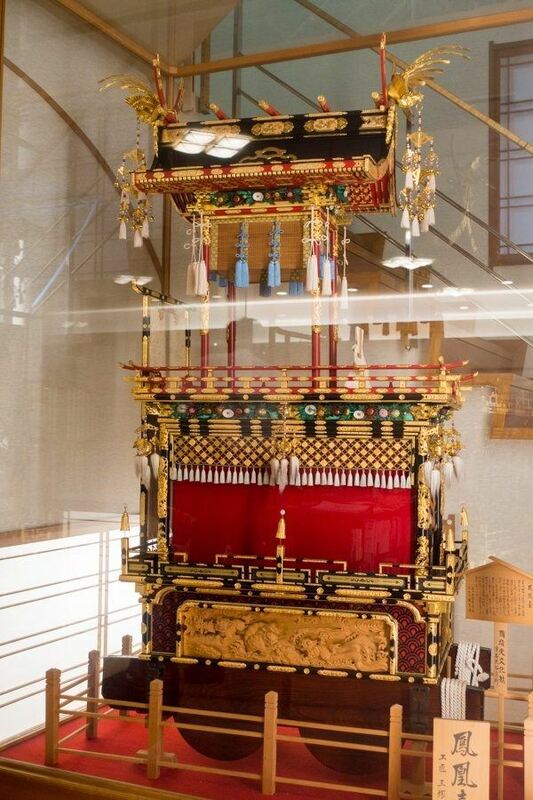 In the lobby next to the elevator, there’s an amazing small replica of one of the Takayama Festival Floats. During our two nights there, we stayed in a standard ryokan room. Honjin Hiranoya Kachoan offers several very unique rooms compared to other ryokans, and the hotel was courteous and allowed us to visit one of their Junior Suites. 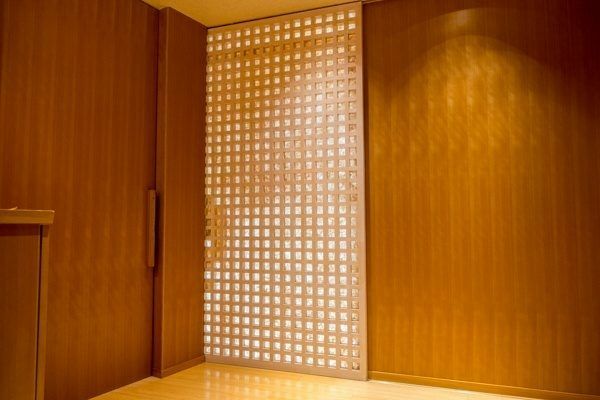 As you enter the suite, you will see the foyer with 3 doors, one for the restroom, one for the tatami room, and the last one for the bedroom. The restroom is quite spacious, about 1.5 times larger than ones in the standard room. 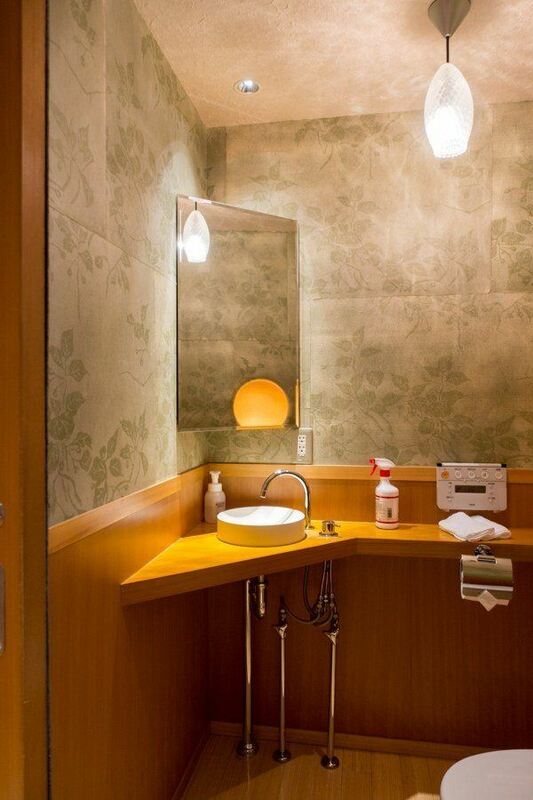 In Japan, the restroom (toilet) is usually separated from the bathroom (bath tub). The tatami room itself was almost the size of our entire standard room. The bedroom had a large bed and a small sitting area. From the bedroom, you can see the bath area to the right. 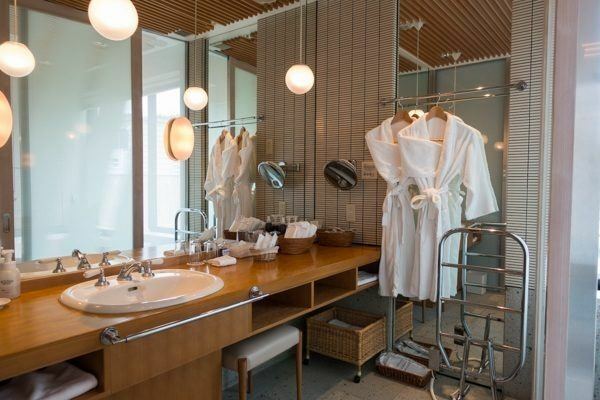 The vanity area is bright and large and there are all kinds of amenities for him and her. 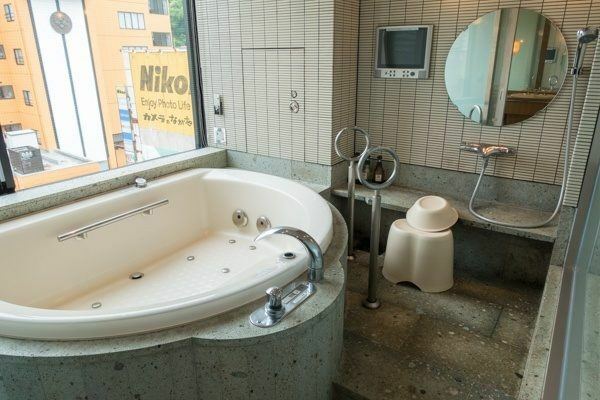 There is a large Japanese bathroom with jacuzzi tub. The Japanese bathroom usually has a tub and a shower area inside the bathroom. We clean our body first outside before you soak in the tub. 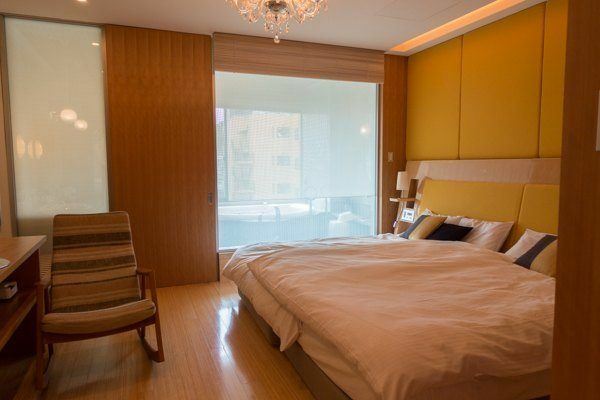 This Junior Suite is ¥32,400 (roughly USD$300) per person per evening (dinner and breakfast are included). 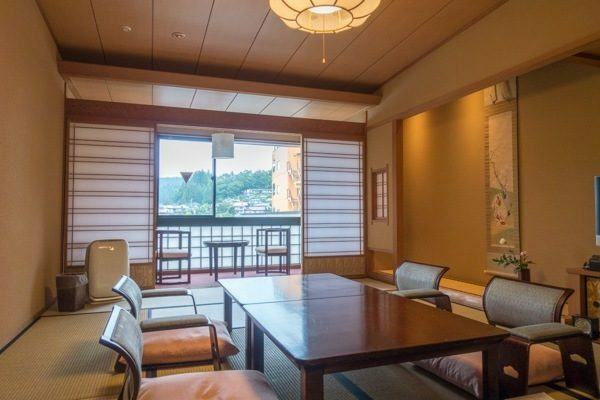 Our room is pretty standard ryokan setup, with a tatami room in the main area and a small sitting area by the window. The window overlooked Temple District on Higashiyama (東山 the Eastern Mountain). The room was very clean and there was no sign of wear and tear for its furnishing. We’ve been to ryokans where the rooms were not so well-maintained and this room definitely receives an A. There were 2 caretaker that took care of us during our stay, 1 in the morning and 1 in the afternoon/evening. The caretaker helps arrange all the meal accommodations, bath needs, and answers any questions you might have during your visit. Our caretakers were courteous and the service was amazingly thorough. 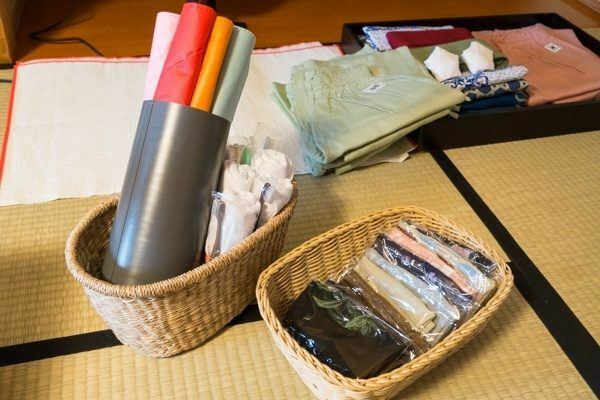 When you check into your room at a ryokan, they usually serve you tea and a house recommended snack. 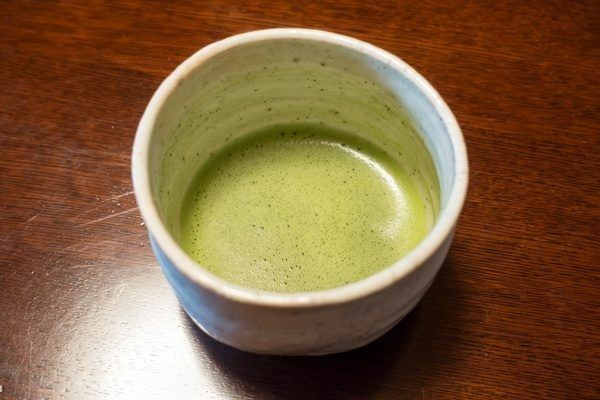 The caretaker at this ryokan makes “Omacha” (お抹茶) – freshly made matcha green tea – upon your request. After we enjoyed our snack, we were given extremely detailed explanations of the amenities at the ryokan. Our attendant also confirmed what time we want to eat dinner so the proper arrangements can be made. 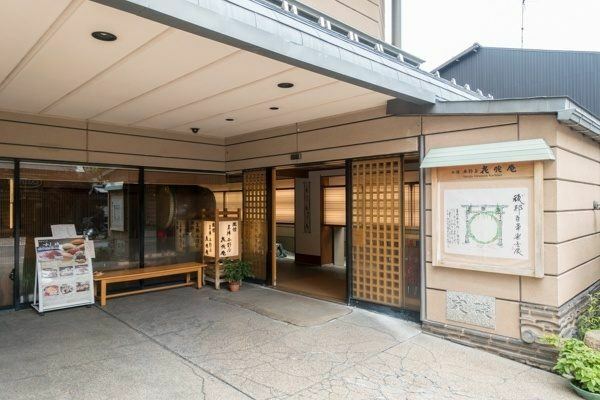 As far as the amenities, the ryokan has hot springs (onsen) for male and female in the building, as well as a special relaxing space for ladies across the street. The sister ryokan across the street also has hot springs which we could use. What’s one of the things that made this hotel’s service stand out? There were many different color bath bags and free socks you could select from, and the bath robes and yukata (summer kimono) were an exact fit. 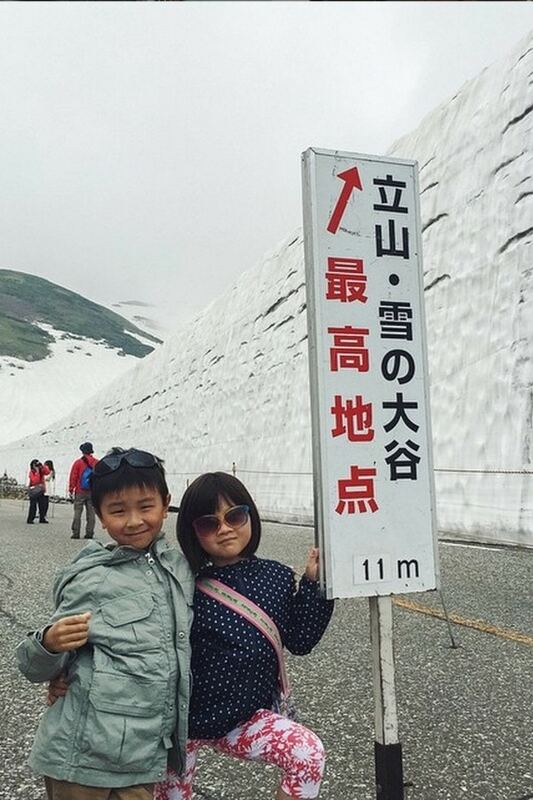 The kids were ready for soaking in hot springs (onsen)! At night after dinner, the staffs made the futon for us to relax and sleep. 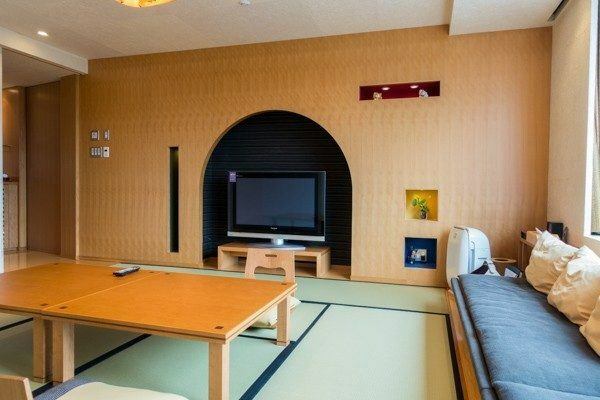 Remember the tatami room you saw earlier? Now it’s a bedroom. 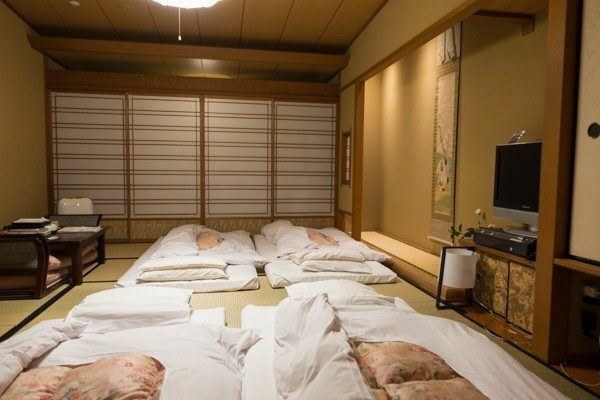 This is a typical ryokan setting as they convert the sitting area for sleeping at night. 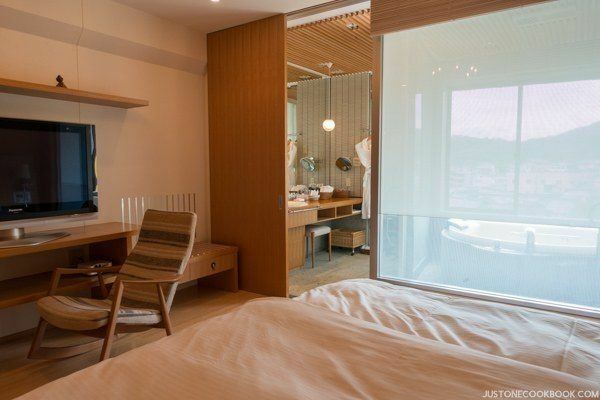 This Standard Room is ¥24,840 (roughly USD$200) per person per evening (dinner and breakfast are included). We had 2 dinners and 2 breakfasts at the ryokan. 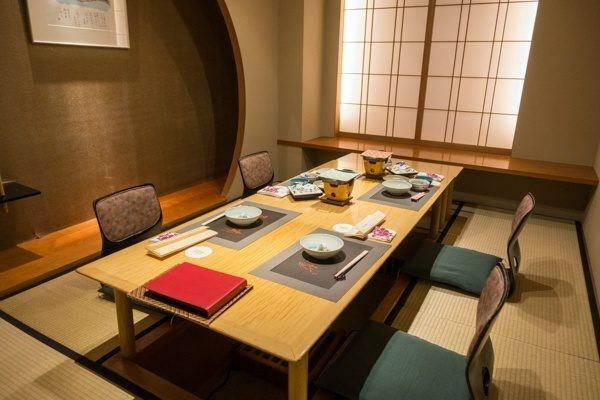 Both dinner and breakfast are served in the private dining rooms on the second floor of the building, and the decoration of the dining area was like a traditional Japanese garden. As you enter, you see a wide selection of sakes that they offer. 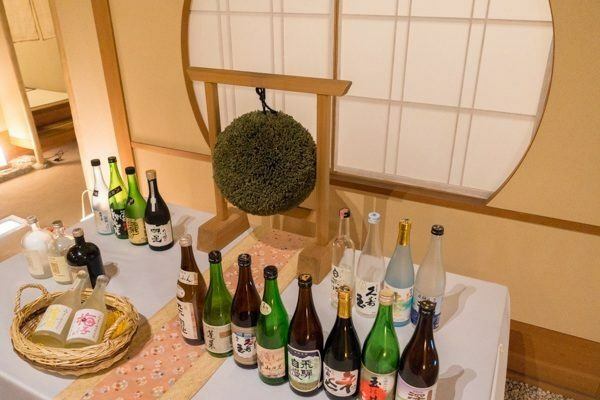 At the sake table, there is a sugitama (杉玉 cedar ball). Traditionally it’s hung in the eaves of sake breweries and the purpose is to let people know that new sake has been made. As the cedar leave changes color through drying, it signals how much the sake has matured. It’s been a while since we’ve enjoyed a really fancy Japanese course meal (since Kyoto) so we looked forward to the dinner very much. When we booked the hotel, we opted to upgrade dinner for 1 of the evenings to experience the difference between standard and upgraded dinner course meal. 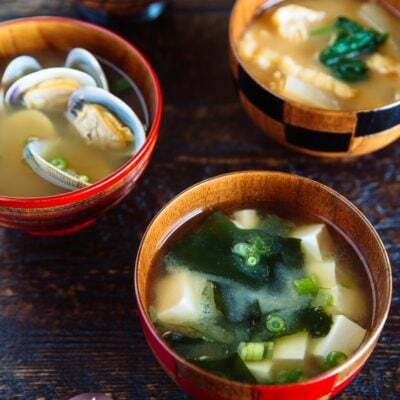 My favorite part of a traditional Japanese meal is not just how the food tastes, but how they are presented and what type of dinnerware are used to present the dish. To keep the long story short, our expectation for the dinners were met and we had two fantastic meals, let me share with you what we had. 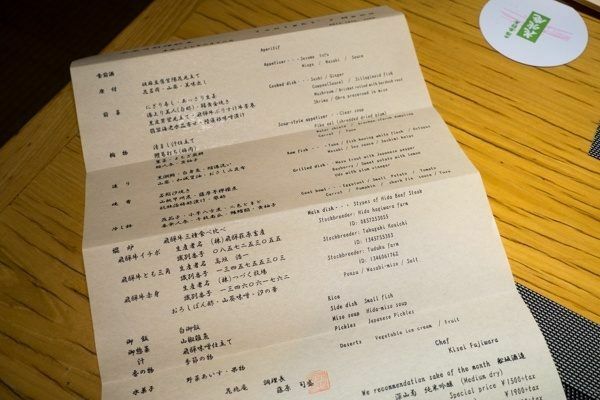 As you start your meal, you’re given a dinner menu for the night that has all the courses detailed. 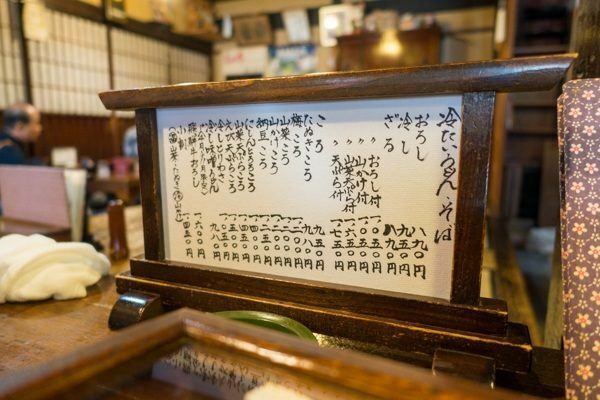 The menu is written in Japanese on the left and English on the right. 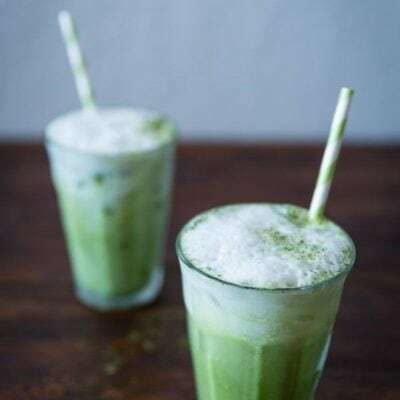 The menu also changes based on the the available ingredient and what’s in season. The first dish was sesame tofu, served with myoga (Japanese ginger), wasabi, in a delightful soy sauce. The tofu was soft and flavorful, and they use kudzu to make the flower look like a hydrangea. The colors of bowl they used matched the food and it was really pretty. 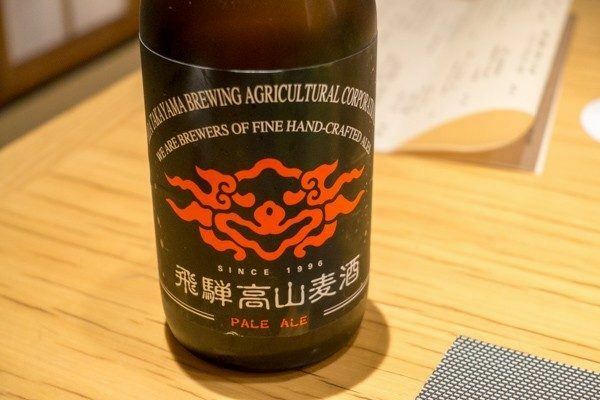 Local Hida Pale Ale for Mr. JOC. He said it was quite good as he’s a fan of pale ale. 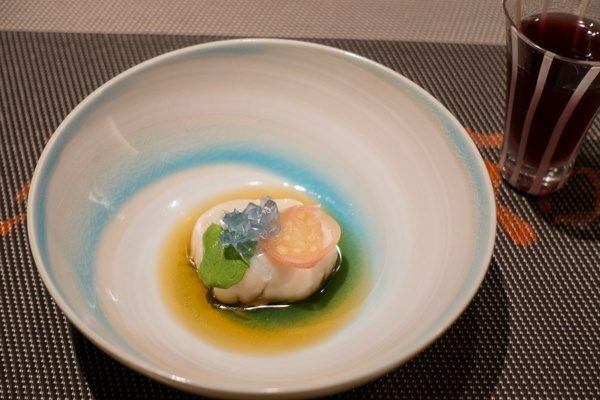 The second dish was clear soup with daggertooth pike conger (Hamo, はも), with yuzu, carrot, water shield (じゅん菜), and bracken-starch dumpling (よもぎ餅). The smooth and slippery texture of the dumping and water shield contrasted the flesh of the pike conger. Served in a golden bowl, the dish was elegant and tasty. 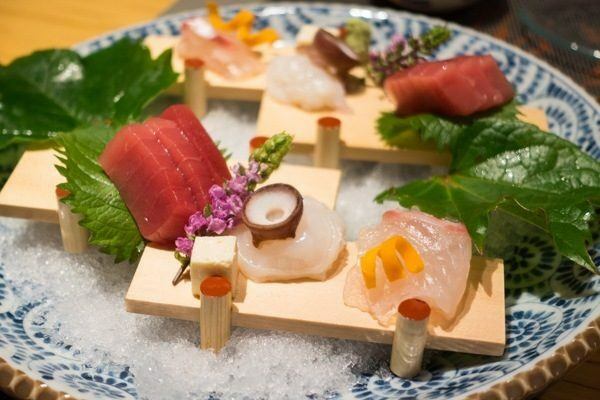 The third dish was sashimi, served on top of wooden trays so it looks like piers on top of water. 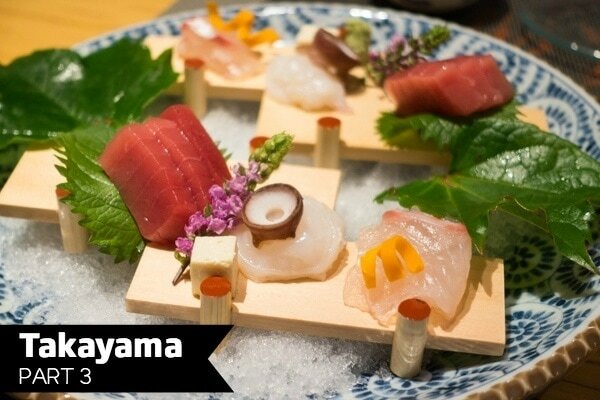 For this dish they used ice on a blue plate to symbolize water and keeping the sashimi cool at the same time. The sashimi included local tuna, octopus, and a white flesh fish. 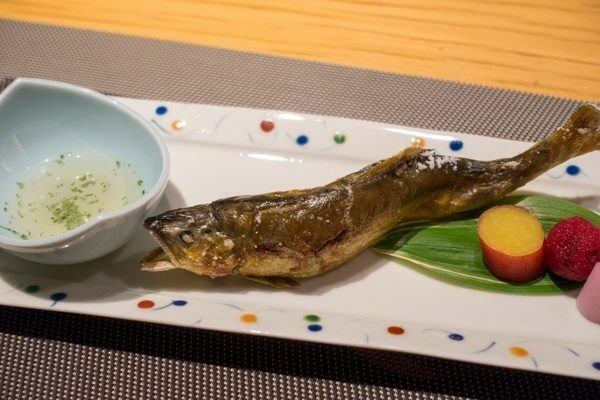 The fourth dish of the night was grilled wild sweet fish with salt (若鮎の塩焼き). We were told to eat the entire fish from head to tail. 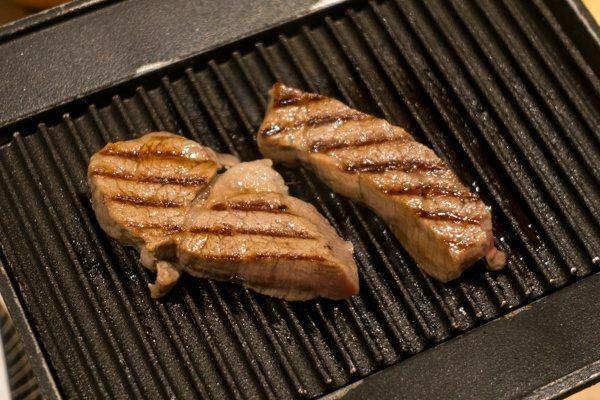 It was perfectly grilled and the flavor was divine, the skin was crispy and the meat was sweet and delicate. 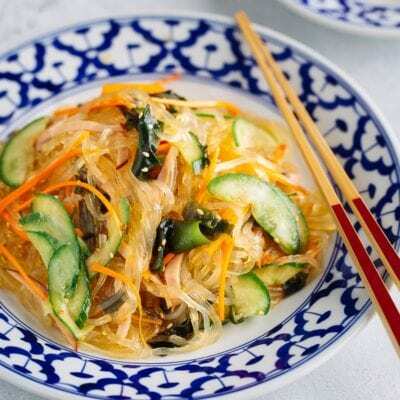 The fifth dish was chilled vegetables with egg plants, potato, tomato, carrot, and pumpkin in shark fin sauce. Look at how pretty the glassware is with the gold circular patterns surrounding the vegetables. 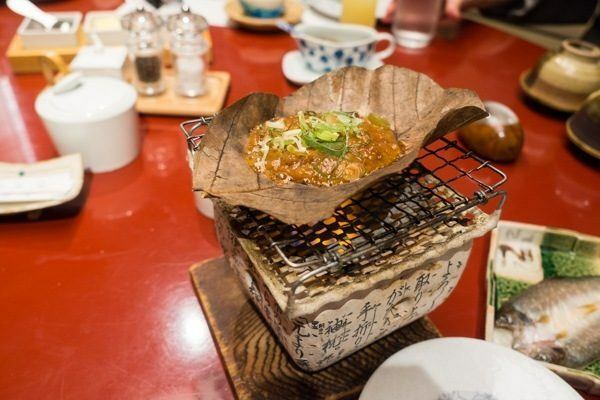 The main dish is finally served, and it’s 3 types of Hida Beef that you grill at the table. Along with the 3 different types of beef, there are 3 choices of dipping sauce: ponzu, wasabi-miso, or salt. Needless to say the beef was amazing, and since there were 3 different cuts we really got to enjoy each of their different qualities. 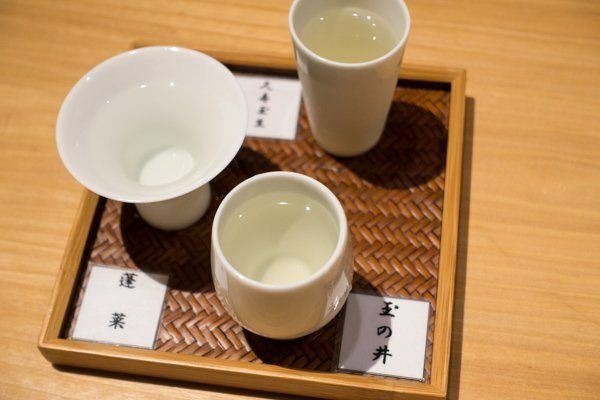 To clean our palate between dishes, we tried the sake of month – Miyamagiku Daiginjo (深山菊 大吟醸). The sake was smooth and flavorful, paired perfectly with the elegant Japanese dishes we were enjoying. 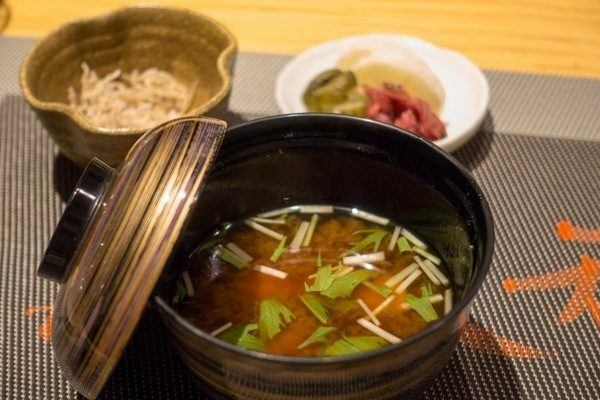 Following the beef, we were served Hida Miso soup with small fish and Japanese pickles. The dashi for the miso soup had a lot of umami flavor and I enjoyed the mitsuba leaves they added inside the soup. By the time the green pea ice cream and fruits came around, we were stuffed. The green pea ice cream had a slight sweetness and very nice fragrance of green peas. The service was fantastic throughout the meal and the pace of each dish being served was just perfect. We absolutely enjoyed our meal, it was a treat. After having a fabulous first meal on previous night, we really looked forward to the upgraded meal the second day. Actually the ryokan offered us 3 choices for dinner: sushi, Hida Beef Teppanyaki, or Japanese kaiseki dinner. As we’ve had enough sushi on the trip already, we opted for Japanese meal again. The second meal was just as good as the first meal, but it used more expensive ingredients, like uni, finer cuts of beef, etc. The first dish consisted of 2 different appetizers. 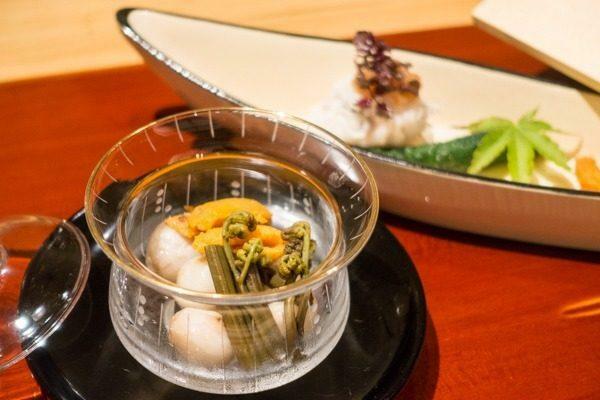 The first appetizer in a boat shape plate was daggertooth pike conger (はも) with cucumber, perilla flower (花穂紫蘇) and pickled plum. 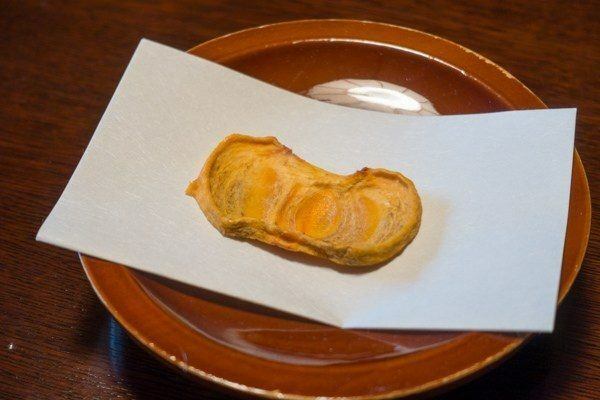 The second appetizer in the glass bowl included small potato, warabi (mountain vegetable), and sea urchin cooked in soy sauce. Everything served in the dish including decorative flowers were edible. 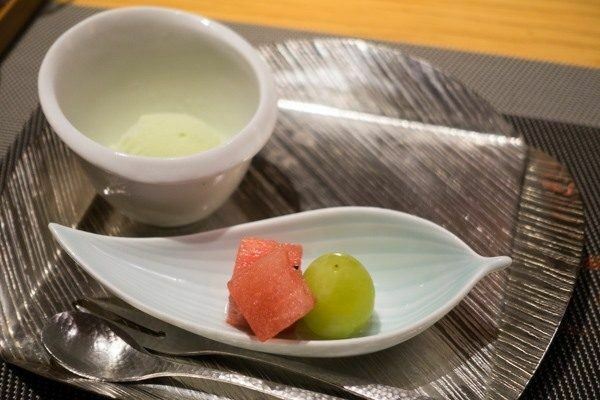 Both dishes were really delicate and stay true to sourcing regional ingredients. The steamed sea urchin worked really well with the mountain vegetable and the soft texture of the pike conger worked well with the pickle. The soup was very different from yesterday, the dark bowl was complete opposite from the golden bowl. 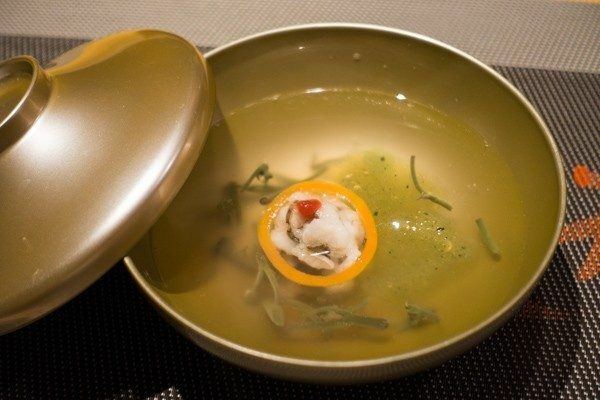 The clear broth contained red sea bream, winter gourd, bamboo shoot, and sudachi. The sea bream’s soft silky flesh absorbed the delicious dash from the soup and it tasted wonderful. 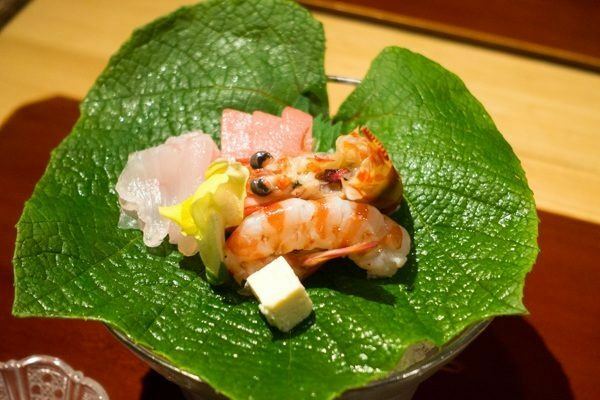 The next dish is cold seafood assortment of the day, including tuna, grouper, kuruma ebi (prawn), with daikon. Once again, the seafood was super fresh and the indescribable sweet aftertaste makes you want to eat more and more. 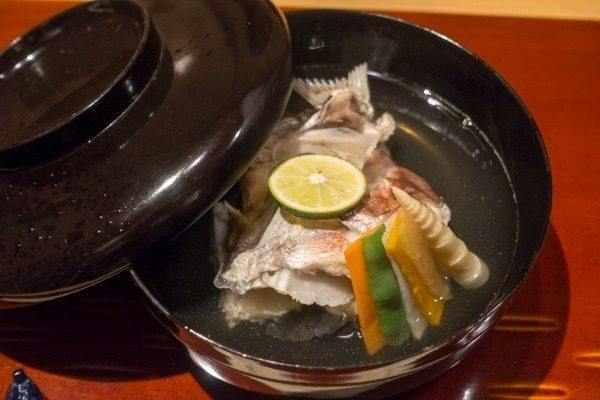 Following the cold sashimi appetizer, the grilled fish dish was nodoguro (black throat sea perch), another local fish. It was served with tamagoyaki, steamed salted fava bean, and hajikami ginger. 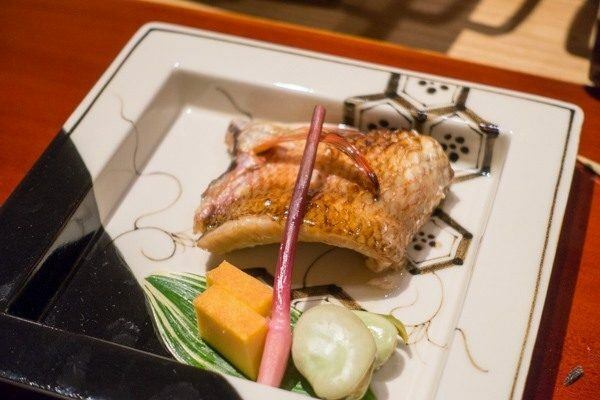 We were excited to eat nodoguro again as we loved it from Kuroya in Kanazawa (read this post) and Izakaya Dai in Toyama (read this post). The fish was grilled perfectly and we were blessed to be eating such a delicious fish again before the end of our trip. The ryokan served deep fried white shrimp to go along with the sake sampler set. It was fun tasting different sake in Takayama and I highly recommend you to try if you enjoy sake while visiting the area. After the fish, it was grilled Hida Beef again. However this time it’s A5 beef, the best grade! The beef and asparagus were wrapped in Hoba leaf and served. Oh my, the beef was juicy, simply melts in your mouth and served with 3 different choices of sauces: ponzu, grated daikon, or salt. I am drooling just thinking about how good it was. Following the beef, we were served Hida Miso soup, steamed rice, and Japanese pickles. 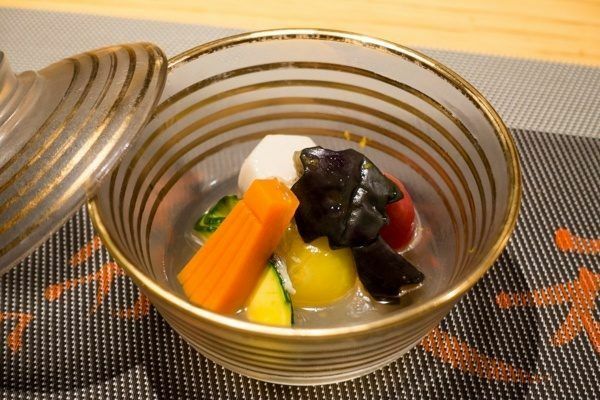 The rice they served for the Premium Dinner Meal was special; it won a gold medal in Japanese rice competition (飛騨産 いのちの壱 銀の朏). The rice tasted sweet, fluffy, and truly exceptional as we slowly enjoy the nature’s gift. We completed the course with the desserts and fruits. We were impressed with their presentation and fresh ingredients they used throughout the meal. This is definitely one amazing meal we will remember in our lifetime. I love Japanese breakfast at a ryokan. 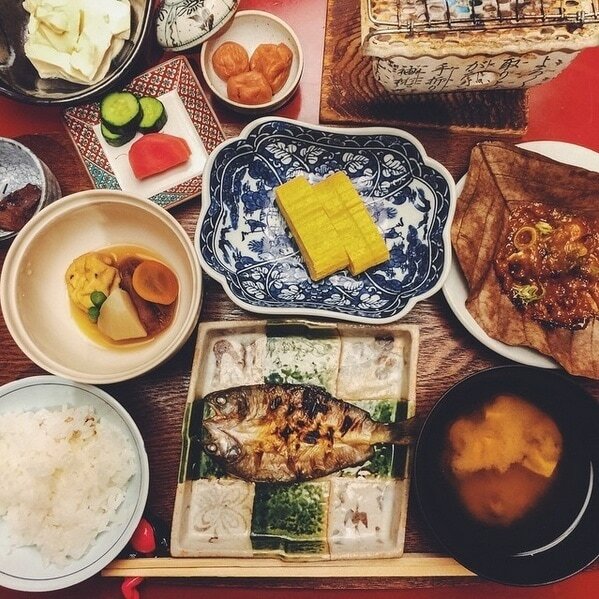 The breakfast spread usually includes a grilled fish, a few side dishes, eggs (Tamagoyaki and Onsen Tamago), miso soup, steamed rice, and several kinds of Japanese pickles. 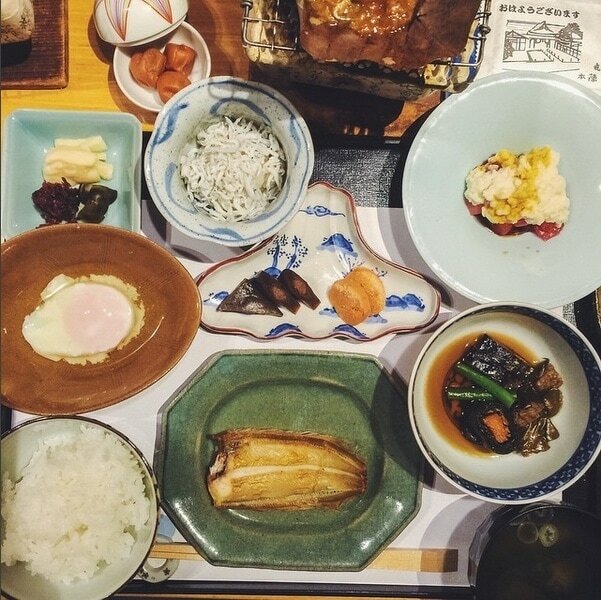 Each morning I was looking forward to tasting hoba miso (朴葉味噌), my new favorite dish! 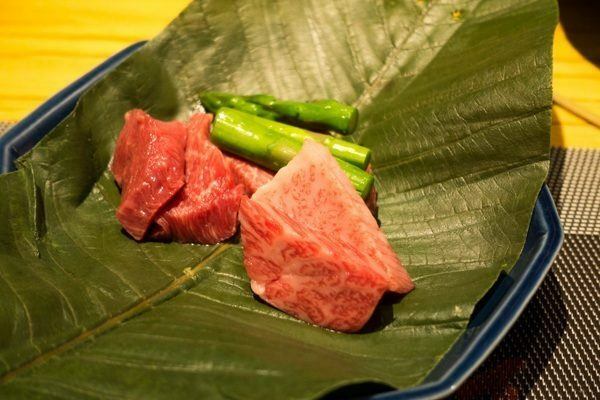 The local Hida miso was placed on the hoba leaf and cooked on the grill. 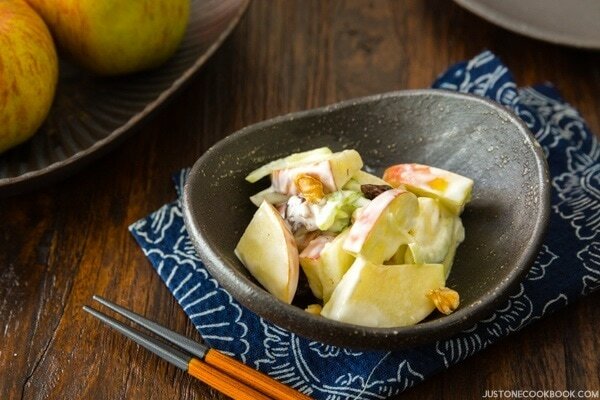 Once it’s nicely toasted and fragrant, we enjoyed it with steamed rice. 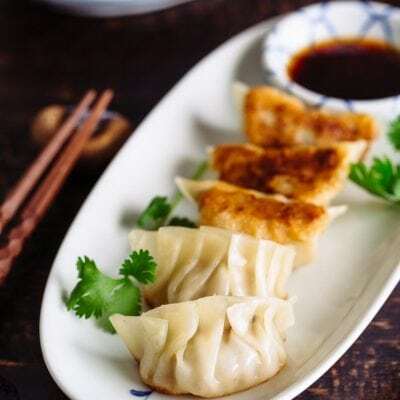 This simple dish is amazing! I purchased hoba leaves at the morning market and I’ve been looking forward to re-creating this dish once my kitchen remodel is done. We thoroughly enjoyed our stay at Honjin Hiranoya Kochoan, and it was an unforgettable experience. The attentive service from everyone working at the ryokan, the amazing food, the convenient location made it a memorable stay. 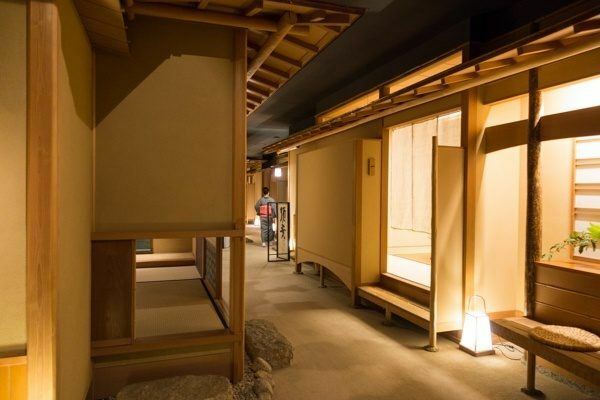 The only imperfect thing about this ryokan is its hot springs (onsen), as they are quite small and average. The ones in our building didn’t even have an outdoor onsen but you could use one at the sister ryokan. However we knew about this before going there so we weren’t surprised. I highly recommend spending a few nights at Honjin Hiranoya Kachoan to experience true Japanese hospitality and amazing local food. 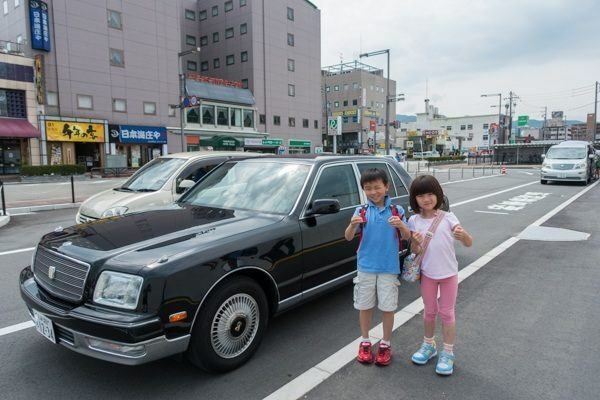 Have you been to Takayama and enjoyed your stay? Let us know in the comments below. 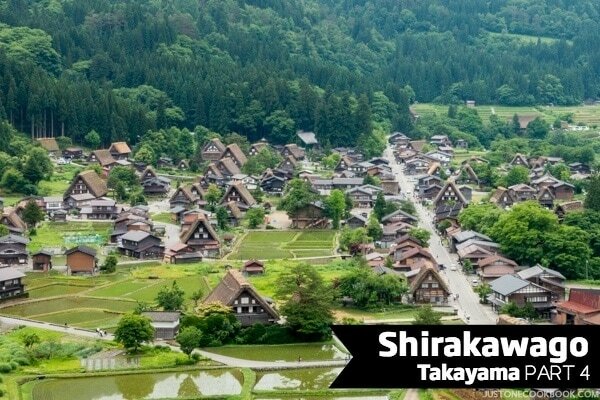 Stay tuned for our last series (part 4) of Takayama (飛騨高山) as I share our visit to Shirakawago (白川郷). If you enjoy this post, please check out my other travel blog posts! I’ve shared my travel experiences in Sapporo, Asakusa, Kyoto, Kanazawa, and other places in Japan. 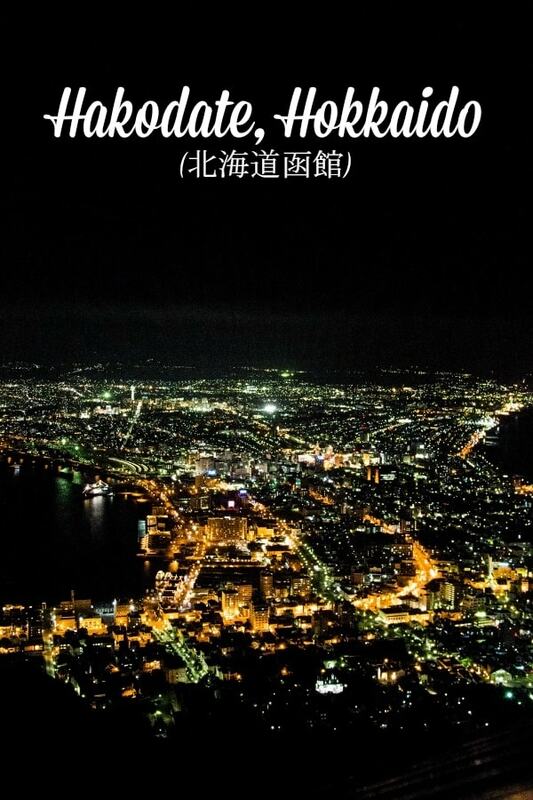 I hope my travel and eating guide are helpful for you when you visit Japan. Don’t want to miss a recipe? 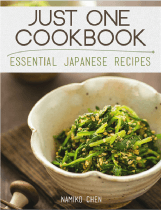 Sign up for the FREE Just One Cookbook newsletter delivered to your inbox! And stay in touch onFacebook,Google+, Pinterest, and Instagram for all the latest updates. I do really like Takayama. I went there last summer and I highly recommend it. We stayed at Hidatei Hanaougi (http://www.hanaougi.co.jp/english/) and it was exellent, room, service and food. Hi Cristina! Sorry, your comment was stuck in the span folder. Sounds like a great place to stay and eat! Thank you for sharing the valuable information with me and other JOC readers! I love reading these posts. They really bring across your enjoyment of the experience, and even if there are some things that I might normally decide I didn’t want to try, or though I might not like, sharing your experience, and the photos of beautiful places and foods help me to want to expand my horizons even if only to try it once. Thank you for the wonderful blog. I just want to thank you for sharing your small kitchen experience with me. I live in New York and have a tiny kitchen. I was very surprised to see your old kitchen was as small as mine. However, I am also very encouraged by your website. I am glad to know that small kitchen can still produce great food. Hi Lu! Haha you’re very welcome! 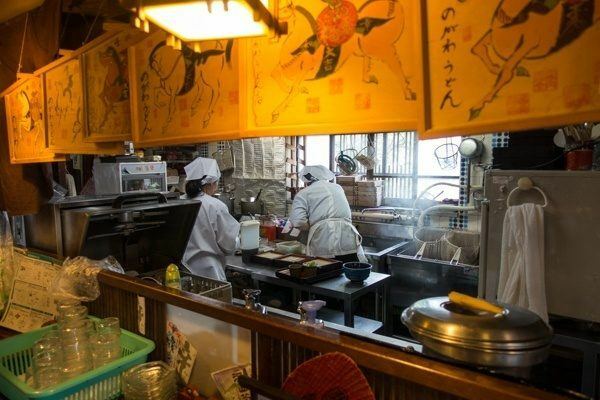 The kitchen in Japan is probably smaller than your NY kitchen. So to me, any American kitchens are MUCH bigger space than what I was used to. However, it’s funny how I get used to this big size oven, sink, and everything….. I feel things don’t fit in my kitchen! 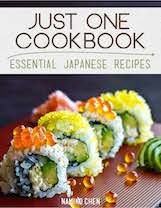 😀 Japanese cooking involves lots of chopping and cooking on the stove. If you have the space, you’re good to go. 😉 Thank you for your sweet comment! Yup, when we travel we often select hotels by their proximity to good food too! Really fun post — sounds like you had a wonderful trip. Really enjoyed reading all about it. Thanks. 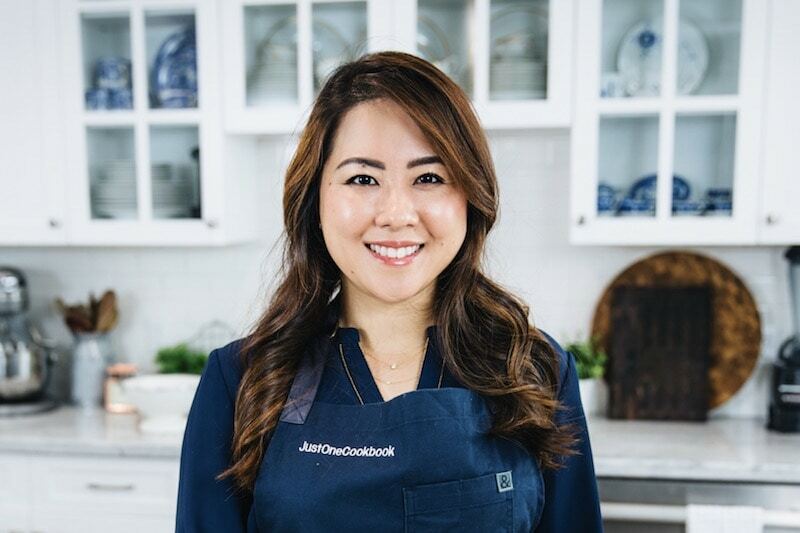 I am an ardent fan of JOC recipes and cooking videos and now, I am enthralled by your travel blogs. Up to now I have been thoroughly entertained by your family stories and detailed descriptions of your daily travel. But all the entertainment has now become vital to me as my young adult children will be making a first-time trip to Japan. Of course I am referring them to JOC travel blogs however there is so much to do and they have no idea of where to start. Nami, using your blog destinations do you have a suggested route for a 15 day travel period? Please. What a wonderfully guided food trip. I didn’t want it to end. Hi Linda! Haha thank you! One more post left for Takayama series. Hope you enjoy the final one too! 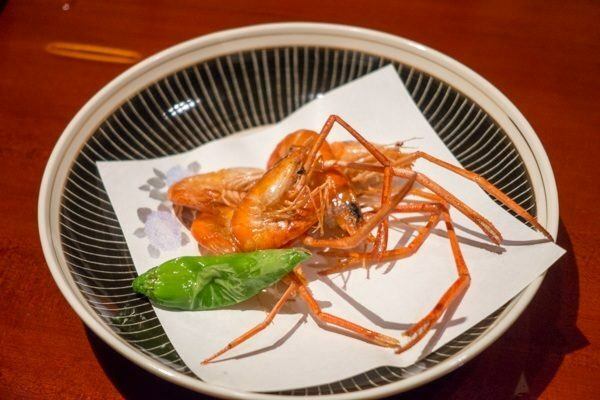 Oh Nami – with my love for both Japan and its food, this has been such a great post to peruse. But how times have changed. I and my family have stayed in dozens of ryokans: always old-fashioned one-storey Japanese with fantastic outside gardens and beautiful flower arrangements in the rooms . 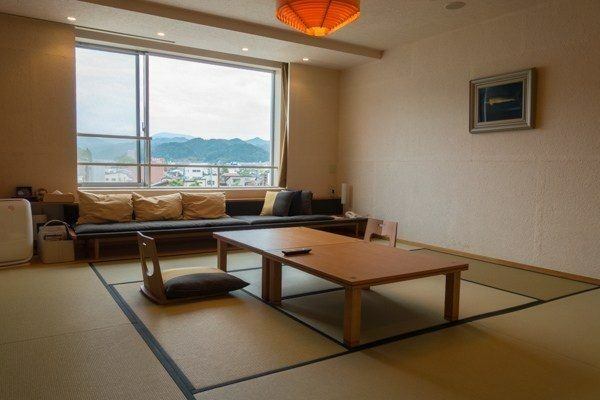 . . always just ’empty’ tatami rooms . . . always all meals also served in the rooms . . . with one Japanese waitstaff on her knees there throughout and another one or two coming in and out with the dishes or raw ingredients to cook at the table . . . no modern bathrooms – just the big bath into which you sank after washing yourself outside . . . memories . . . oh how the kids loved the experiences . . .
Nami I thought I better return with a small explanation for those who are not familiar with Japan; as I said I am used to the waitstaff always being on their knees and entering the room on knees – that may sound subservient to those not in the ‘know’ – the fact is that naturally we ate on our knees also: no chairs in most places and very low tables: I first saw tables with ‘legwells’ in Japanese restaurants in Hawaii and once or twice on my later trips to the Land of the Rising Sun 🙂 ! Actually very comfortable once one was used to it, even if one somehow slipped onto one’s buttocks with enough sake drunk!!! Thank you for your consideration, Eha! I use your recipes and love your posts. My children are very picky eaters but my wife and i love food and Japanese food. 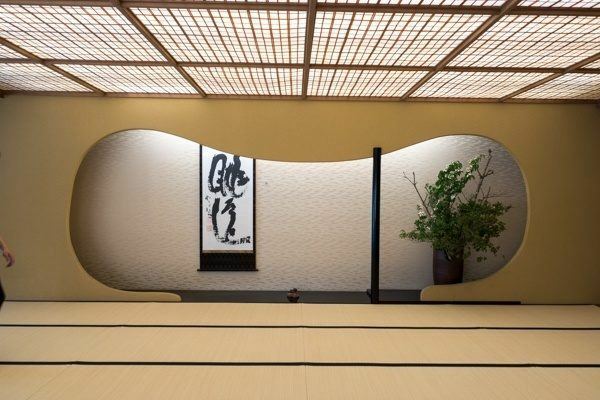 Do you know how a ryokan like this one would deal with this problem? Hi Chris! 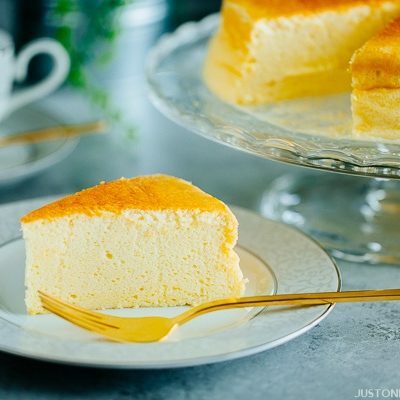 Thank you for trying my recipes and I’m happy to hear you enjoy my posts. Thank you for reading! It really depends on a ryokan (more pricey, more attentive, in general), but this hotel asked us if our kids have something they can’t eat. They eat pretty much everything, so we didn’t tell them specific request, but you could, and they will do their best to make meals. For example, you could probably ask them to make rice balls or make simple food. They won’t probably take much time to make something, but as long as it’s simple request (like rice ball) I’m sure they will. But if it’s ryokan who doesn’t have enough caretakers (so it’ll be cheaper), they don’t probably even ask if you have a favor. Hope this makes sense. If you have some food that your children eat, you could prepare ahead. Oh, and it also depends on the age. My kids meal price is included for the cost (which is why they ask if we have preference). Hope this helps! Your travel posts are so thorough and well done, Nami. I really love seeing the fabulous pictures and reading your thoughts and experience. Your kids are just too cute! 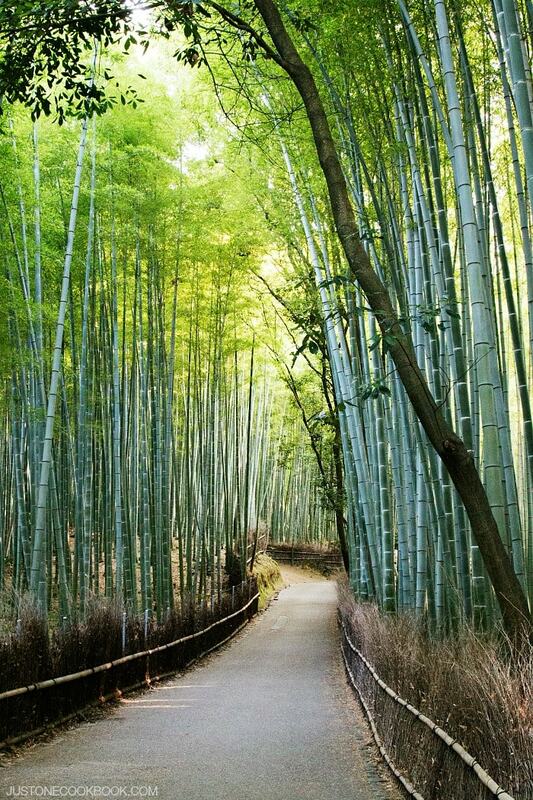 : ) This reminds me of the trip we took to Japan when I graduated from college. Going beyone Tokyo, we stayed at a resort with hot springs and my sister and I tried it. What an experience that was! We still talk and laugh about it to this day. And food – that is the best part of vacation and everything looks wonderful here. I waited to read this until I had time to savor each photo, and I’m glad I did. I loved seeing the rooms and the food. 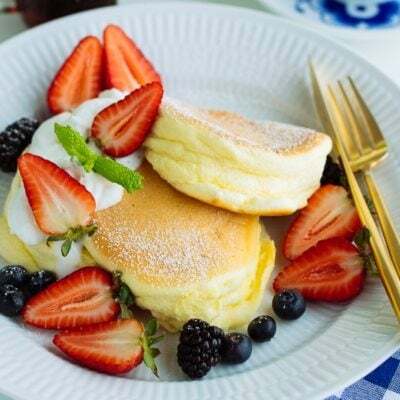 Just the traditional breakfast alone looks so delicious! Thank you for taking the time to write this. Lovely long post and pictures, almost felt like I was there! haha….. so envious Nami! Your kids are so cute! Looks like the enjoyed themselves a lot 🙂 Iove the hotel room, it’s huge! Wouldn’t mind living in a place like that. Glad you had a good time Nami! Looking forward to more stories and photos! love reading about your trip Nami. Those dinners sound exceptional. what a wonderful experience for your children, who look so sweet in their kimonos! 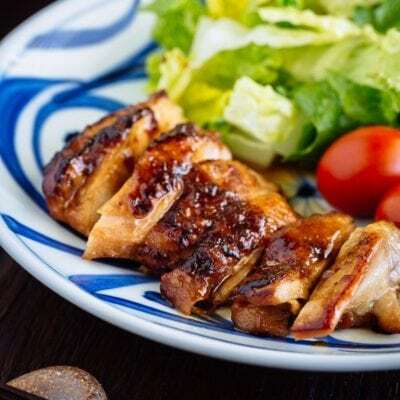 Being a fan of Japanese cuisine and culture, it is a pleasure to read your posts. The way you write is very appealing with the appropriate illustrations and make us readers want to discover more and eventually visit Japan. I just love your travelling post. I’m from Mauritius and I have not yet visited Japan but if I’m to visit it in a near future, your post would certainly help as I would know where to go and stay to have a unique and memorable experience. I love that you include your family in your posts, it’s what makes it so authentic and enriching to read. 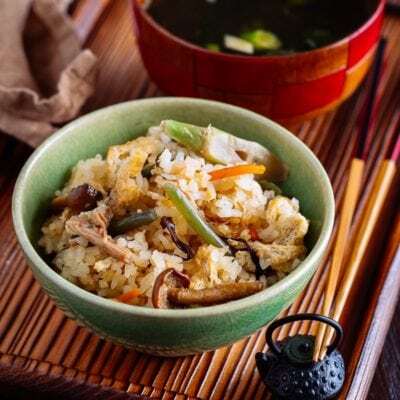 Your recipes are also a good way for me to learn new Japanese specialities and typical one as there are not so many Japanese Restaurant here in Mauritius. It’s also good to see that even though you now live in San Francisco, you have not forgotten your birth country and that you encourage your children to learn more about it. It forms part of who you are and your cultural identity. I’m looking forward to read your future posts. I’m really enjoying your posts about Takayama and Kanazawa. We are planning to take a similar trip with our 2 year old at the beginning of August and I’m looking at accomodation. 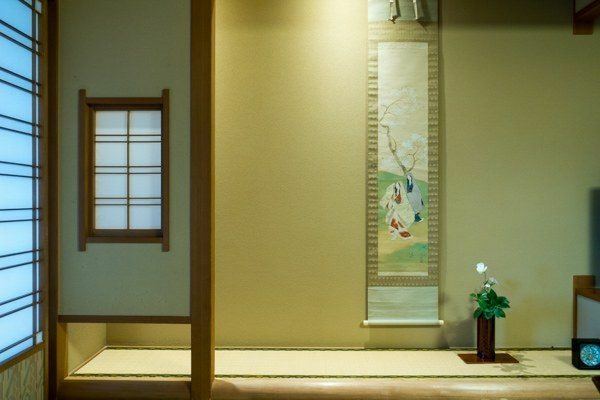 In the ryokan, do you know if we will pay the same price for the 2yo as for ourselves? Hi Janette! Glad to hear you enjoyed this post! Check out this link (if it doesn’t work, type Honjin HIranoya Kachoan on the search box of this site). When you actually book, there is a place where you add TOTAL # of guests and ADD CHILDREN area. Then the window pop up and you put the number of children. My kids then were eating children’s meal, so we did Child B for 2 kids. If your 2 year old eats some of your food, then you can do Child C.
Your travel blog is so inspiring! 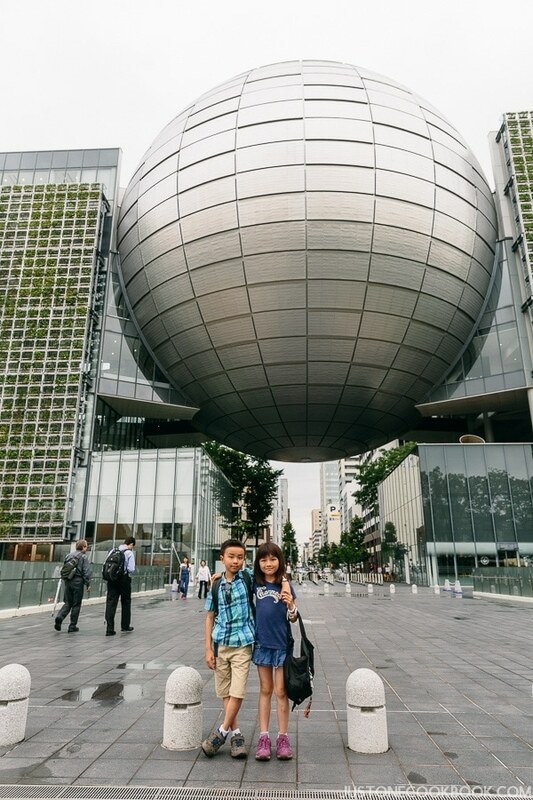 My partner and I are travelling to Japan for our second trip in October and have 29 days for exploring. We would dearly love to stay at Honjin Hiranoya Kachoan in November. 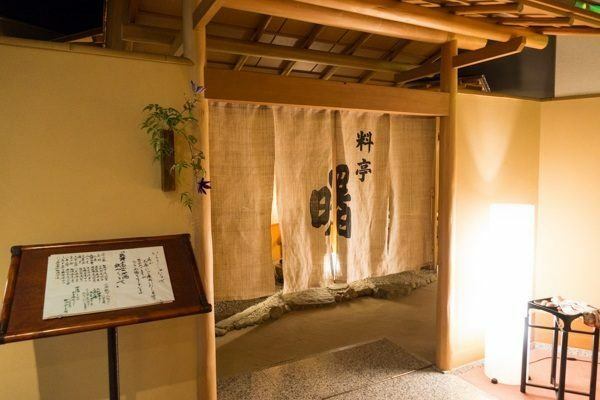 I understand that most Ryokan’s do not accept reservations more than 6 months in advance. Do you happen to know if this is the case for Honjin Hiranoya Kachoan? Their website shows availability up until October but no availability from November onward? We checked Japanese travel site (jtb.com and their US site japanican.com) and neither one is showing any calendar dates for after Sept in general for all hotels. It appears that no Japanese hotels take reservations more than 3-6 months out. What we recommend is set a reminder for May to book your reservation.